We took care of our neighbors' dog, Nelson, one weekend while they were away. 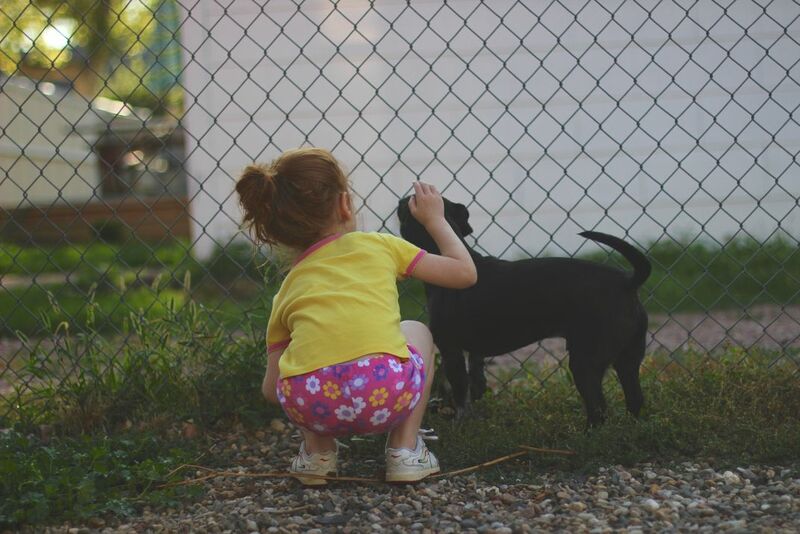 Our daughter loved to go into their backyard to pet him, feed him, and keep him company. This was a Sunday morning before she got dressed. The first thing she wanted to do was check on Nelson.